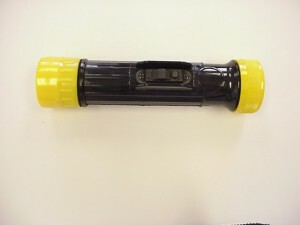 2 D-Cell safety approved flashlight with the PR6 bulb. 3- position switch. Fire retardant & waterproof. Black body with yellow fittings. NSN #6230-00-299-3035.